Ridesharing was born in The San Francisco Bay Area. Uber, the biggest and most popular of these services, was created in San Francisco and has spread throughout the world. But that growth hasn’t happened without backlash. The company has repeatedly come under fire for the way it handles things in an Uber accident, the rates it pays drivers, and the lack of any real screening process. (Indeed, that increase in popularity has also led to the rise of the most major cities around the country.) As a personal injury lawyer with offices in San Francisco, San Jose, Oakland and Los Angeles I’ve been keeping a close watch on ridesharing companies. And, especially how they handle injuries caused by their drivers. It can sometimes be disheartening. However, none of that public embarrassment or the legislation prompted by it has slowed the meteoric growth of ridesharing. In fact, dozens of up-and-comers like Lyft have stepped into the ring to carve out their own share of this multi-million dollar business model. That surge in popularity means that if you haven’t used a ridesharing service in the past, you probably will in the very near future. There are several things you need to understand about your rights as a passenger (or even as a pedestrian) when it comes to Uber accidents and Lyft accidents. If you’ve been involved in a Lyft or Uber accident in the past, you know that getting the compensation you deserve can be a real hassle. The most important thing that people need to understand about these ridesharing services is that almost all personal auto insurance policies held by the driver will deny claims if the driver responsible for the accident is operating as a rideshare service provider at the time of the crash. Uber vs. Lyft? It doesn’t matter in this case. That’s because personal auto insurance policies almost always contain a clause that negates coverage if the vehicle is being used “for hire” or if the driver is benefitting commercially from the ride. These provisions are added to limit an insurance company’s liability in the event that the Uber or Lyft driver causes an accident. In short, it’s a money-saving tactic that can leave drivers in a tough spot should they be found at fault. That doesn’t mean that companies don’t offer coverage to these drivers. In fact, all but one state and the District of Columbia have insurance companies which offer ridesharing coverage. (This is an additional purchase that drivers must opt for in order to receive coverage under their existing policies while using their vehicles in a “for hire” capacity.) While these policy add-ons aren’t common knowledge, they’re fairly easy to get—you simply ask. Commercial insurance policies are also available which will cover in almost all “for hire” instances. However, most rideshare drivers won’t need such a policy unless they use Uber, Lyft, or one of their competitors as a fulltime money-making strategy. So if additional insurance is readily available, why don’t more Uber and Lyft drivers have these insurance add-ons to protect people hit by and Uber or Lyft vehicle? It often comes down to cost. Drivers usually opt for the least expensive option when choosing auto insurance. That can be bad news for them if they get in an accident. Uber vs. Lyft—the choice, from a rider’s perspective, is usually not much of one. Both apps offer similar services with very little difference in price. (Although, you’ll probably want both apps on your phone so you can compare rates before you choose one over the other.) However, there are some differences when it comes to how insurance companies handle Lyft and Uber accidents. But before we get into specifics, it’s helpful to understand how both services view your ride. Both Uber and Lyft breakdown every single ride into three driving periods. Period 1: Begins when the rideshare driver turns on the app and ends when the driver actually accepts a rideshare request from a passenger. Period 2: Begins when the driver accepts a rideshare request from a passenger and ends when they actually pick up the passenger. Period 3: Begins the second the passenger enters the car* and ends the moment they leave. 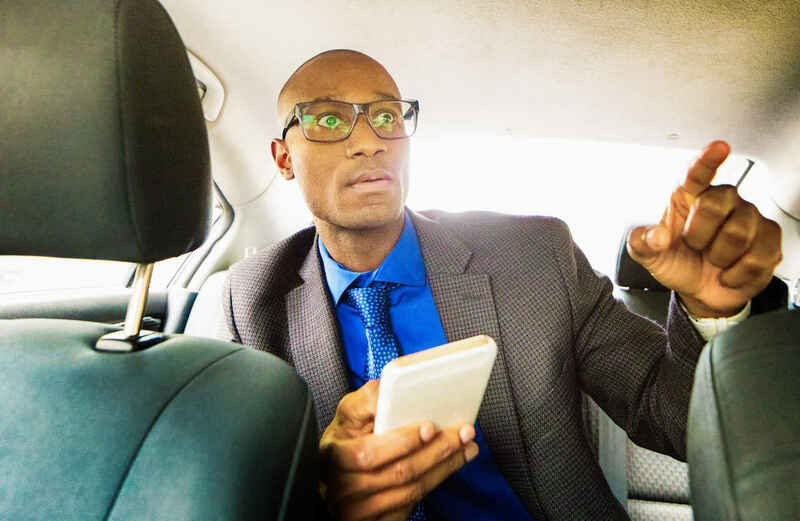 At any time before Period 1 begins or after Period 3 ends, Uber and Lyft drivers are relying solely on their personal auto insurance policies for coverage. Neither ridesharing service offers any sort of insurance outside this “active” driving period. Next, let us take a look at how the insurance offered by each service views the ride. As an experienced Uber accident attorney, I’ve helped many victims pursue claims against Uber and Lyft. Many of these cases have resulted in significant settlements including a $500k settlement for a cyclist hit by an Uber driver in the new bike lane on Oak Street at Divisadero. Previously, Uber accident insurance did not cover Uber drivers who were actively using the app but had not yet accepted a passenger request (Period 1). However, thanks to pushback following a tragic fatal Uber accident in San Francisco, the company was forced to change its policy. (This change was codified in California Law under AB 2293 which went into effect in 2015.) Now Uber insurance offers liability coverage for the driver when the app is on. Uber insurance (or the driver’s own personal insurance) will offer up to $50,000 in liability coverage per individual for a total of $100,000 per accident during Period 1. This liability coverage also offers up to $30,000 in coverage for property damage as well. Uber is also required by law to carry $200,000 in excess liability coverage during Period 1. That means that if a pedestrian, cyclist, or another driver is injured by an Uber driver while the app is open, either the driver’s personal insurance policy or Uber’s (or a combination of the two) will cover up to $50,000 per person or $100,000 total per accident (for multiple injured people) in personal injury costs and $30,000 in property damage. This liability insurance does not, however, cover the driver. Once Period 2 begins, the Uber accident insurance kicks in and stays active until Period 3 ends. Uber Insurance for Periods 2 and 3 is extended to $1 million in liability coverage as well as $1 million for uninsured/underinsured motorist injury. That means that Uber insurance will pay up to $1 million per accident (or the difference between $1 million and what an underinsured driver’s own insurance pays). It’s extremely important to understand that a passenger, bicyclist, or pedestrian who is injured in an Uber accident is not limited to accepting what these insurance companies offer and victims are not prohibited from pursuing claims against the Uber driver’s personal insurance policy as well. Lyft accident insurance coverage is very similar to Uber’s in almost every respect. Lyft’s coverage offers contingent liability coverage while driver is awaiting a ride request with the app open. However, it’s important to note that this Lyft accident insurance will only pay if the driver’s personal auto insurance policy does not offer this coverage. Limitation amounts are the same as Uber’s Insurance ($50,000 per person/$100,000 per Lyft accident). Once Period 2 begins and until Period 3 ends, Lyft insurance (or a combination of Lyft insurance and the driver’s personal auto insurance) will pay up to $1 million per accident. This $1 million policy contains primary automobile liability, contingent comprehensive & collision, and uninsured/underinsured motorist insurance. Has an auto insurance policy that offers less than $1 million in coverage. Uber Accident or Lyft Accident – Is There Really any Difference? If you are in an Uber accident or Lyft accident, there is not much difference in how the insurance will or will not cover you. The real difference (if any) would come down to how the companies handle claims. One would think that Lyft – with their friendly pink moustache marketing – would be easier to deal with than Uber when you are in and accident. However, as a personal injury attorney with years of experience with Uber accident cases and Lyft accident injuries, both companies are equally difficult to work with. They may try to fool you into thinking they are there to help you, but they really just want to try to settle your Lyft or Uber accident case quickly and for as little as possible. Regardless of which ridesharing app you choose, your rights are the same. If you’ve been injured in a Lyft or Uber accident, the driver’s insurance company, and/or the ridesharing company’s insurance may be legally required to pay for your medical expenses, lost wages, and more. But getting the compensation you deserve won’t be easy. Hiring a qualified and experienced Uber accident lawyer is your best bet! As a California personal injury lawyer I’ve seen good people struggle to get the money they’re entitled to while these rideshareing companies throw out low-ball figures hoping to get out of an accident quickly and cheaply. You need a lawyer on your side to get every penny you deserve. Call the expert Uber accident attorneys at Sally Morin Personal Injury Lawyers at (415) 413-0033 today or get a FREE online case evaluation now to see if we can help.